Nach der Lektüre lohnt es sich natürlich, wenn Sie sich einen Fahrschein holen und in den Zug steigen, um die Stationen, Viadukte und Tunnel direkt zu erleben. 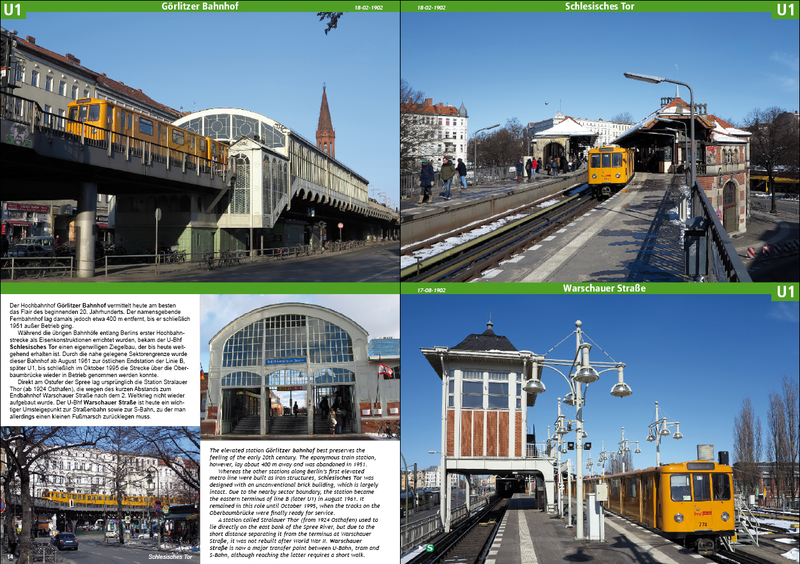 Wir wünschen Ihnen eine gute Fahrt! 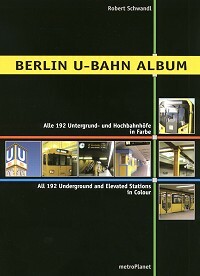 The Berlin U-Bahn Album was first published in 2002. 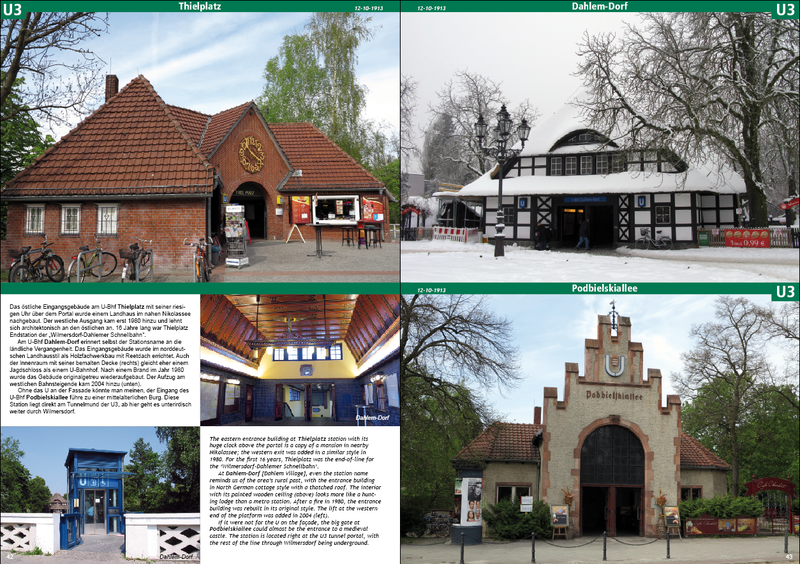 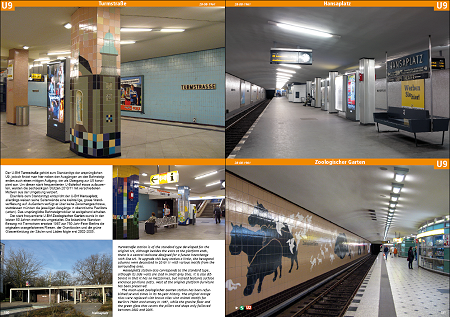 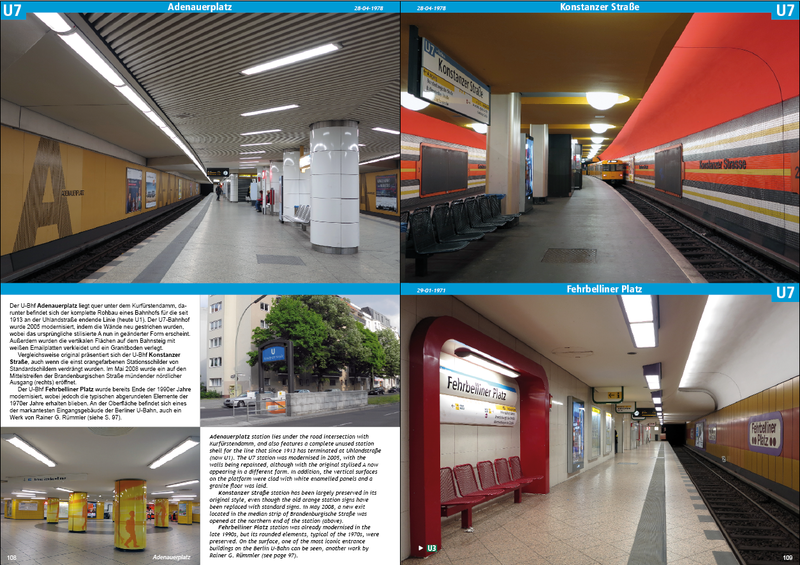 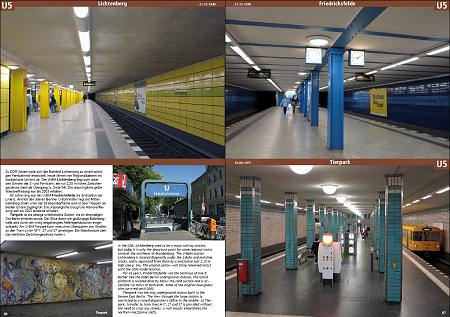 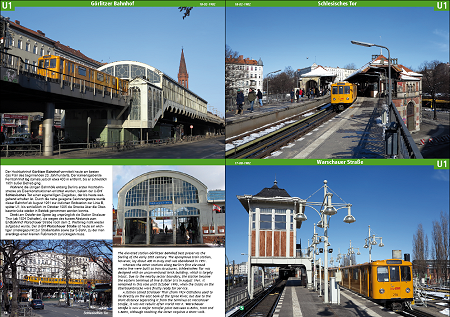 In this new edition, Robert Schwandl once again presents all the Berlin U-Bahn stations in full colour, from the impressive ‘cathedrals’ like Rathaus Spandau and Hermannplatz to the less spectacular ones. In recent years, many stations have been modernised: some have been completely restyled, while others have only been upgraded slightly to meet modern requirements, e.g. 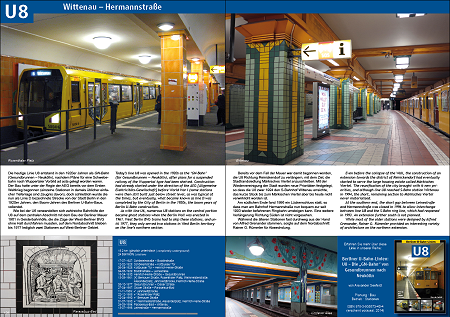 by adding a lift; a few have even been restored to their original appearance. 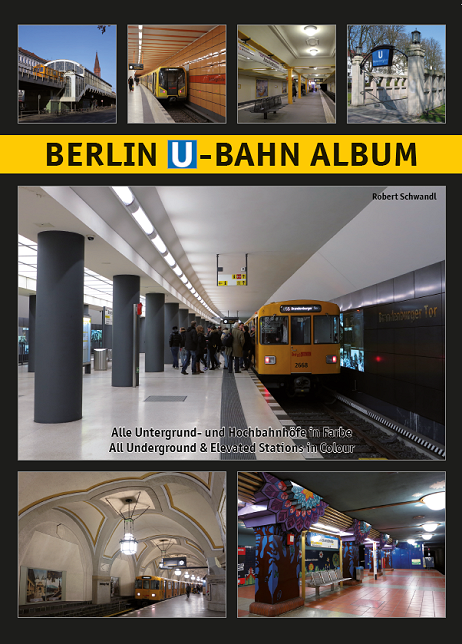 This book thus captures the current state of all the stations and explains (in German and English) the changes made over the last ten years. 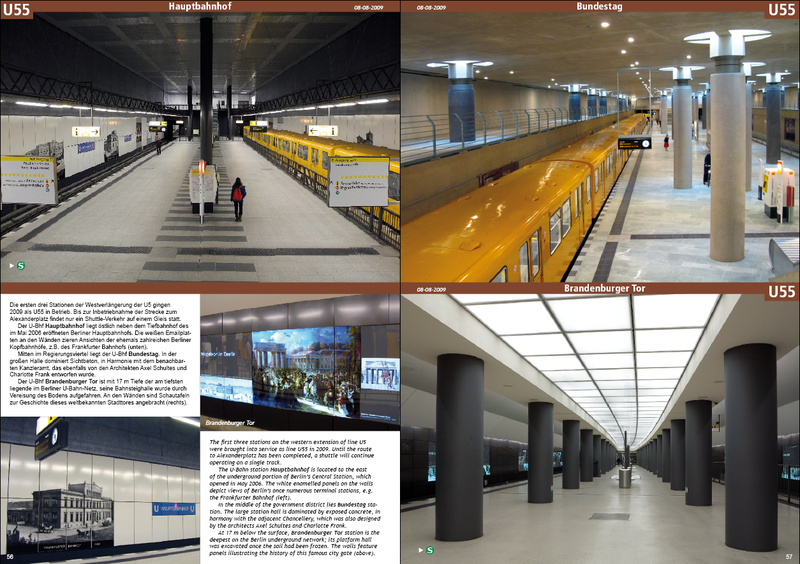 After reading this book, it is certainly worth purchasing a ticket to explore the stations, viaducts and tunnels by yourself. 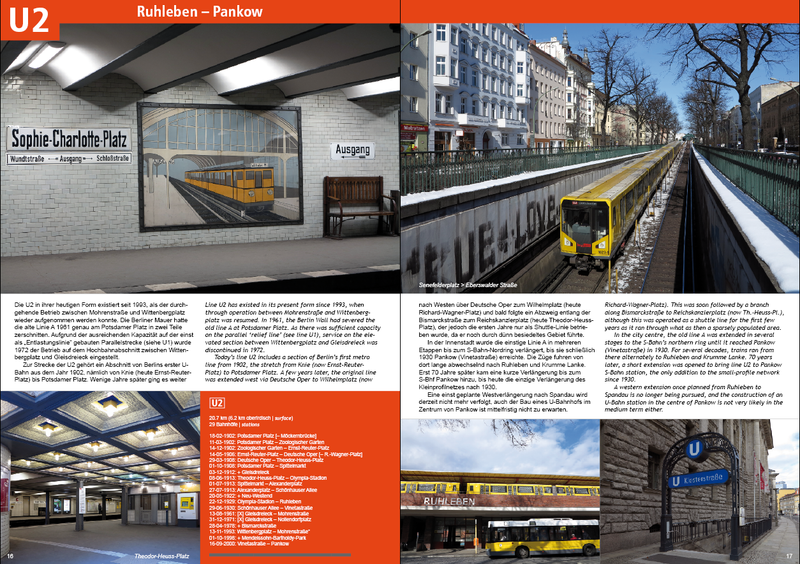 I wish you a pleasant trip! Zum Vergrößern anklicken! 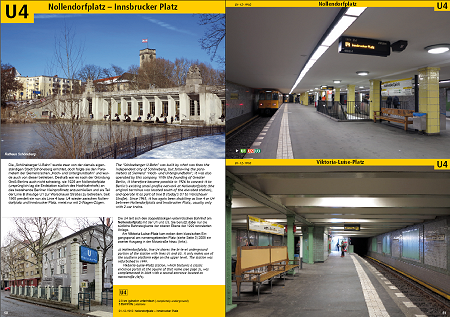 | Click to enlarge! 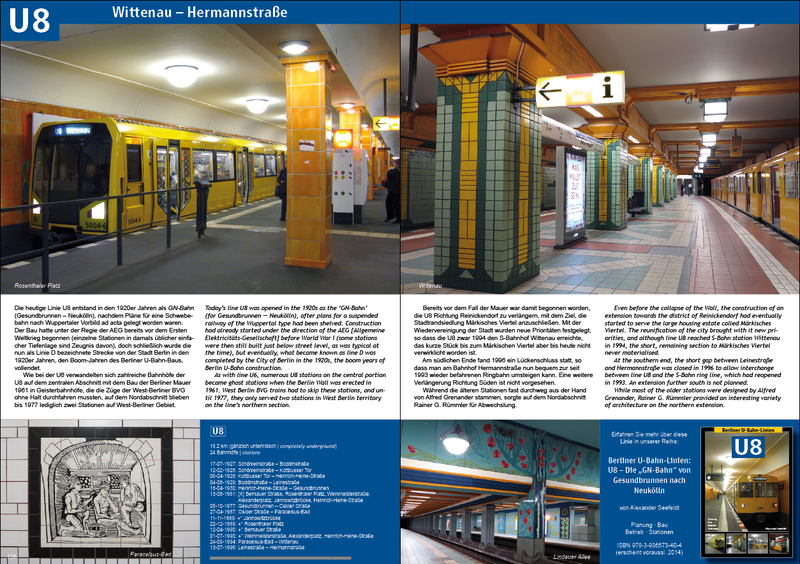 Weitere Bücher über Berlin in unserem Verlag | More books on Berlin in our catalogue! 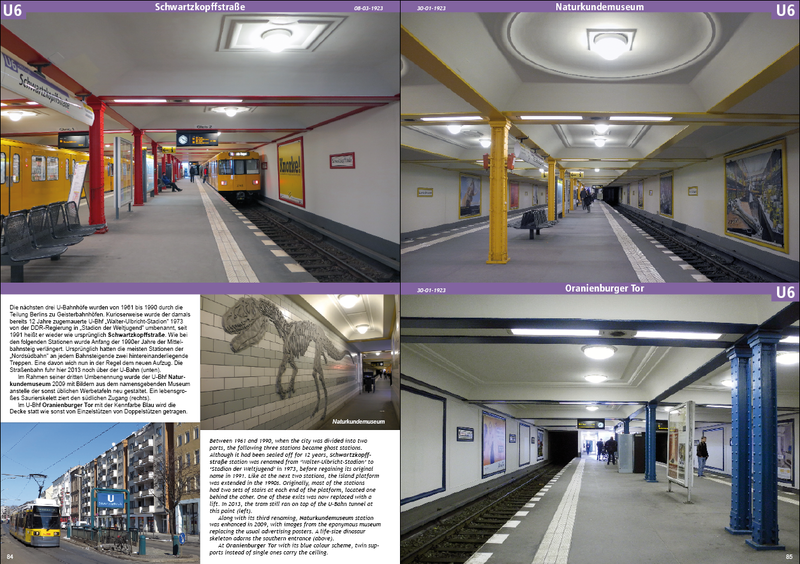 Schauen Sie mal rein! Take a look inside!